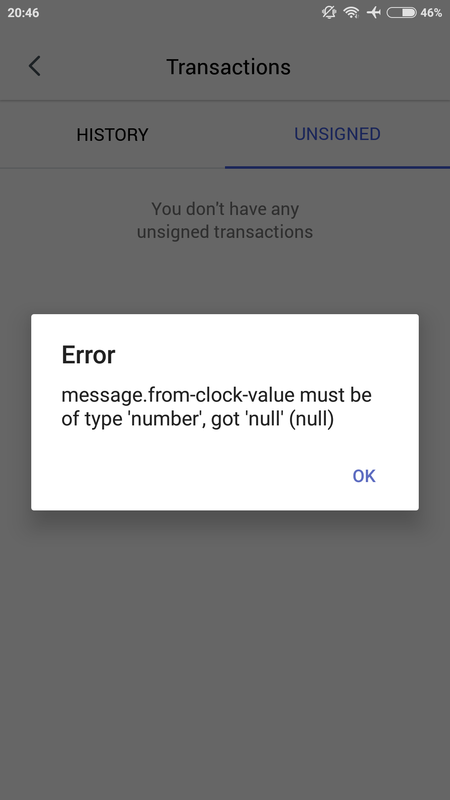 Summary: Error message “message.from-clock-value must be of type ‘number’,got ‘null’ (null)” when sign transaction later if 1-1 chat with this transactions was deleted. After transactions signed user cannot start 1-1 chat with receiver, but is redirected to Unknown chat. 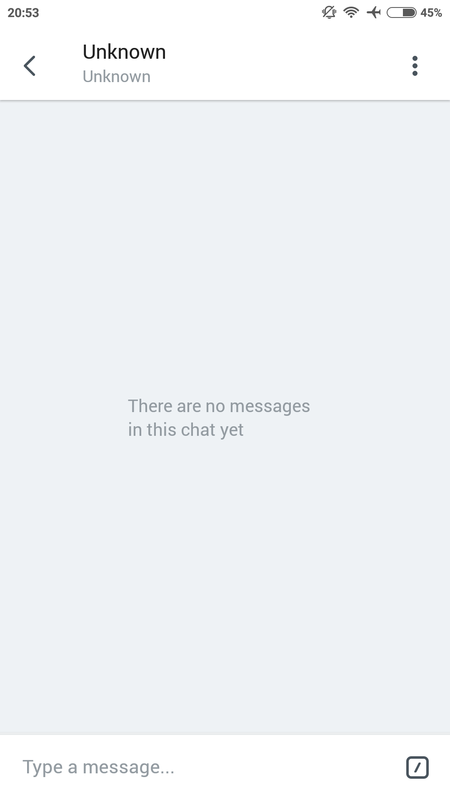 If user choose to sign transaction later and delete 1-1 chat, this transaction still can be signed from wallet transaction history, but error appears and when start new 1-1 chat with the receiver user is redirected to unknown chat. i can reproduce on ios as well , the app hangs after the error received on iPhone 7. @asemiankevich could you please check if this is already fixed in develop ? When yes, please close the issue.